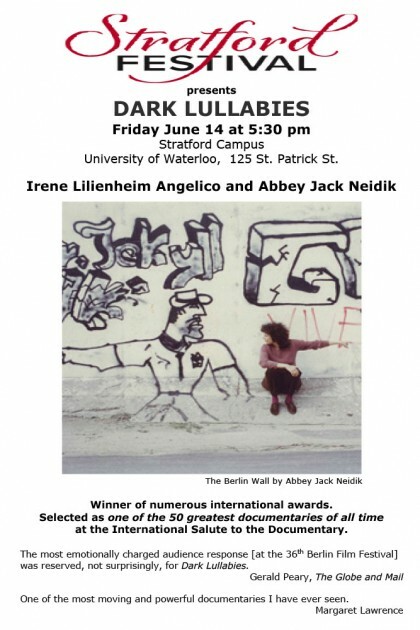 This summer, “Dark Lullabies” was shown at University of Waterloo’s Stratford Shakespeare Festival. It was a great honor for us! 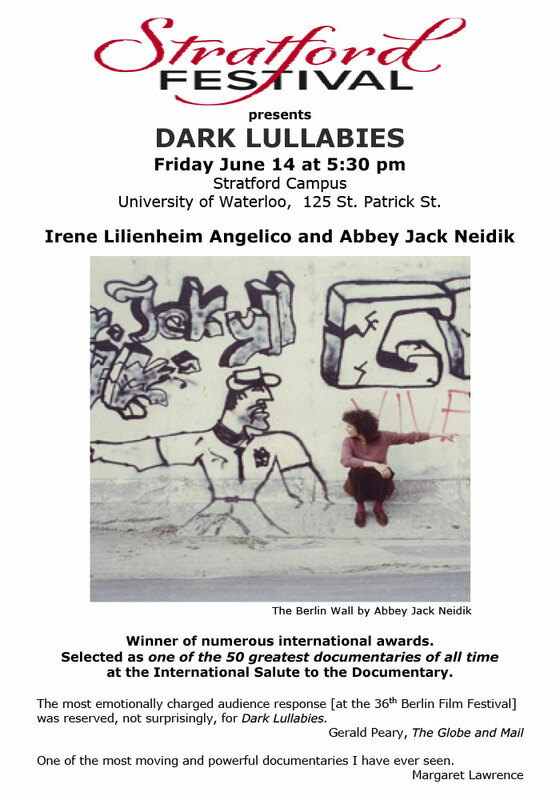 Canadian filmmaker Irene Lilienheim Angelico reaches for comprehension of the Holocaust through interviews with survivors and their children in Montreal and Israel – and with their contemporaries in Germany. Winner of six international awards, and selected as one of the 50 greatest documentaries of all time at the international Salute to the Documentary, the film will be followed by a chat with Angelico.